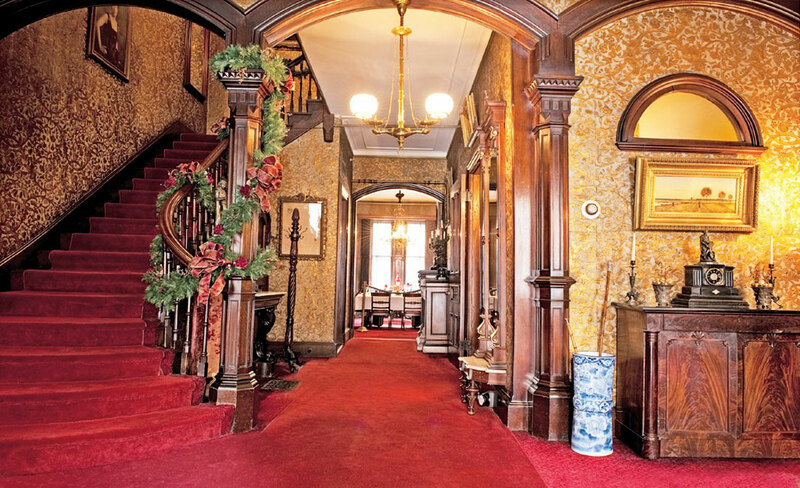 The Gibson House Museum’s lavish entrance hall illustrates how an upper-class family lived in the early days of the Back Bay’s development. Charles Gibson Jr.’s study exhibits his own books and social standing. 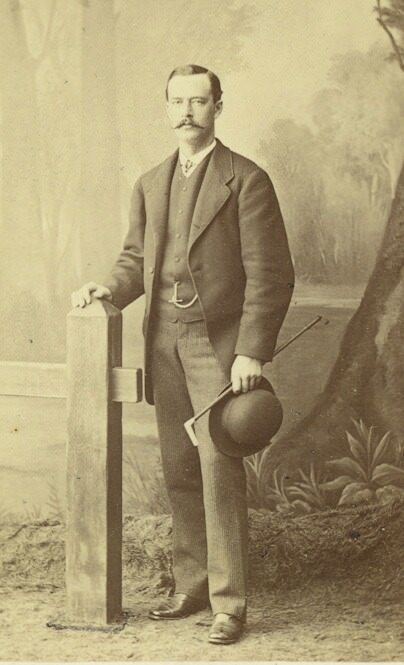 A portrait of Charles Gibson Sr. 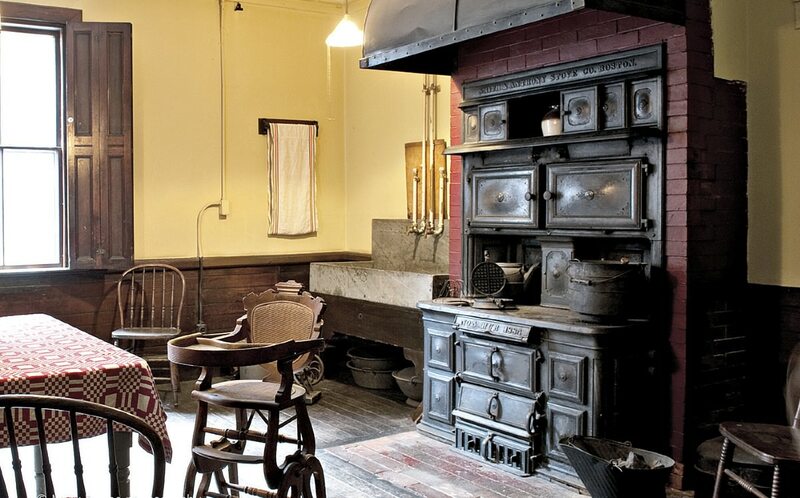 Cooking in the house ended in the mid 1930s; the kitchen, with its soapstone sink and 1884 cast-iron oven, manufactured by Smith & Anthony Stove Co., Boston, is especially well preserved. 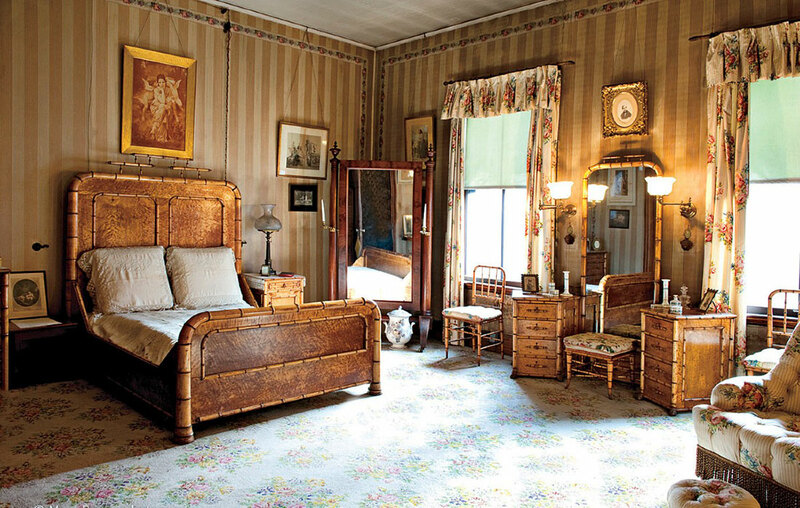 Rosamond Gibson’s bedroom, which was redecorated by her mother in 1871, features soft colors, family portraits, and a 15-piece bird’s-eye maple bedroom set carved to look like bamboo. The music room, a family gathering spot, holds many treasures, including the Japanese apothecary chest and a lithophane lamp from Germany. 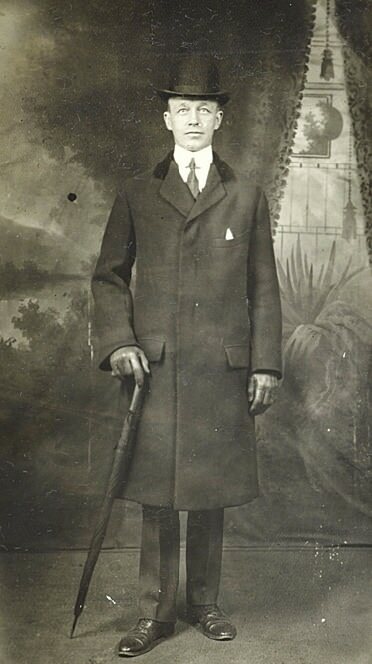 A circa 1916 portrait of the ever-dapper Charles Gibson Jr. The stone and brick townhouse at 137 Beacon Street, a block from the Public Garden, was one of the first grand manses that helped transform the polluted marshlands and mudflats of the Back Bay into Boston’s most urbane, affluent neighborhood of the latter nineteenth century. 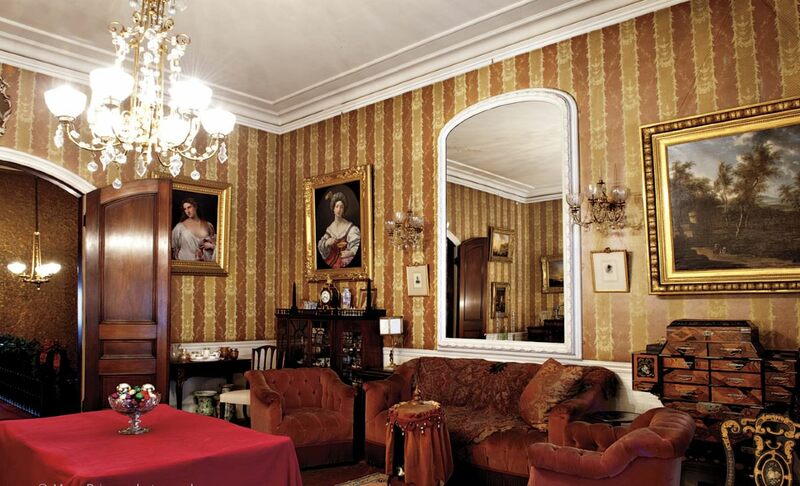 Three generations of the prominent Gibson family lived there, the last of whom was Charles Hammond Gibson Jr. A patrician bon vivant, he ensured the house would be preserved “as is,” in all its Victorian opulence, and become the Gibson House Museum after his death. The property opened to the public three years later, in 1957, and was designated a National Historic Landmark in 2001. Yet the deeper story reveals one man’s response to changing times and his own quest for importance, if not immortality. Amid the bids to impress, one senses a genuine love of all things genteel, especially as embodied by his mother. 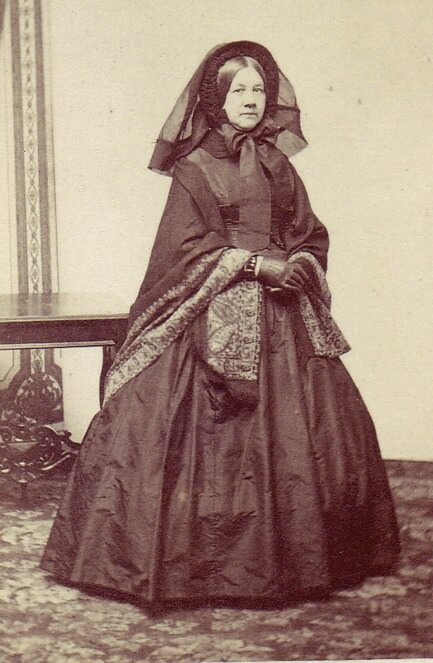 Rosamond Warren Gibson descended from a paternal line of doctors (e.g., John Warren, founder of Harvard Medical School); her mother was a Crowninshield, one of the most enterprising merchant families in early America. Just inside the museum, dark walnut double doors shut out the sunny modern day. The first-floor rooms are framed in the same carved walnut woodwork; landscape paintings hang in gilded frames; the mahogany dining table is set with gold-rimmed Haviland Limoges china. Heading upstairs, Schinabeck points out the central heating system. The circular shaft rises from a central opening in the second-floor ceiling, providing a view of the sky and allowing warm air from the lower floors to flow into the upper stories through glass vents etched with stars. 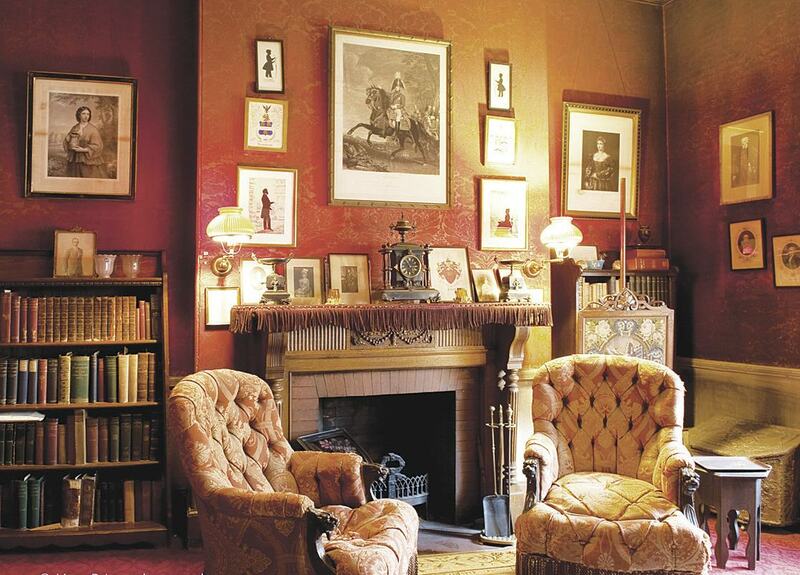 After her mother-in-law died in 1888, Rosamond Gibson redecorated parts of the house. She put the “Japanese Leather Wallpaper” in the entrance hall, and redid the second-floor music room in the more modern, lighter and simpler Aesthetic style: white woodwork with rose- and gold-patterned wallpaper. Her own bedroom was redecorated by her mother, Anna Crowninshield, as a wedding gift. After his father died, in 1916, Gibson moved back home to live with his mother. By then he was likely ending a two-year appointment as Boston’s parks commissioner, Swanton says, and had designed a “convenience station” for Boston Common based on the Petit Trianon at Versailles. Once built, however, the pink-granite rotunda (most recently reopened as a restaurant) caused controversy; some on the city’s Art Commission accused him of using the project to promote himself and his tastes. According to Swanton, Gibson had little formal training; he had attended MIT’s School of Architecture, but never graduated, as he often led people to believe. 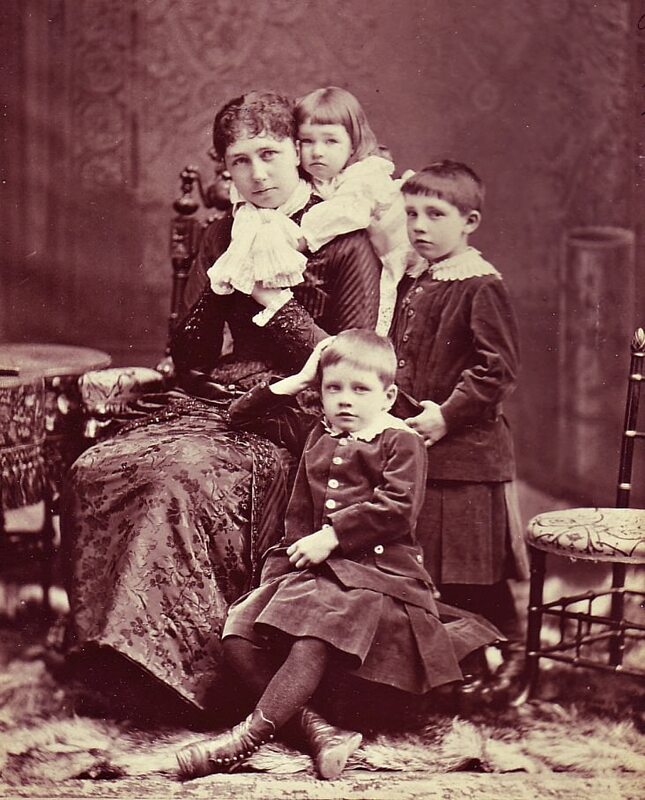 Perhaps because money was scarce, or he was grieving, or both, Gibson dismissed the servants after his mother died. Within a few years he was living in only a portion of the house; the other rooms were already roped off, awaiting display. Visitors were treated to “martinis and stale bread on the stairway,” Swanton says, “because he didn’t want people sitting on the furniture.” He also wrote notes and tagged furniture, artwork, and personal items for future stewards, she adds, “obviously concerned that the world was leaving him behind.” Gibson’s personal sensitivities led him to preserve the home as a historic record, for what it revealed about the way of life he revered. 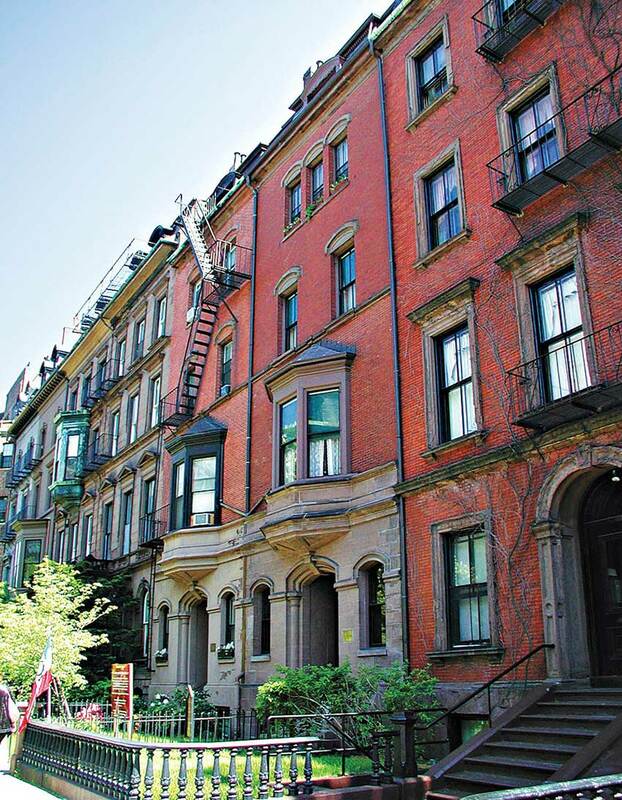 In 1992, the Boston Landmarks Commission honored his foresight by designating the interior a rare and unique surviving example of an intact Back Bay row house. In the end, Gibson was important because he was right.